Plymouth Argyle midfielder Antoni Sarcevic believes the rest of League One are now wary of playing them. The Pilgrims ended Blackburn's 18-game unbeaten run on Saturday and have lost just one of their last 11 matches. 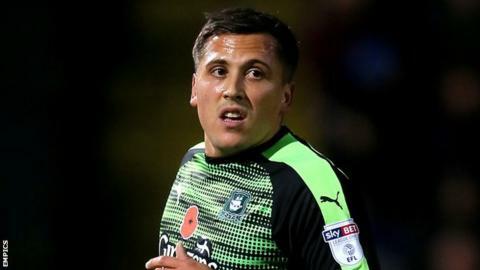 "We're all gelling and long may it continue," Sarcevic said after Argyle moved up to 11th in League One. "We don't go into games now fearing top sides. We want to take that to them because I don't think anyone wants to play us at the minute." Argyle have gone from the bottom of the table at the start of December to a position just seven points outside the play-off places two months later. Sarcevic has scored twice in the last five games and earned praise by boss Derek Adams for an upturn in form that has coincided with Argyle's rise. "I've had to deal with a bit of confidence issues in myself, it's a big thing which I've not experienced before and I've overcome that," he added. "The gaffer's been a massive part of that with me, he's always stuck by me and that's one thing I appreciate. "I'm full of confidence and not only the gaffer, but the lads in there, I do think highly of them, they're a top bunch of lads and we're all there for each other. "It's tight knit, we're only a small squad, and I'm properly enjoying my football here."